The plan for Sunday was to get up early, take the motorbike and head up Sierra Nevada, see the sights from the mountains where the highest peak in the Iberian Peninsula is, then ride down to other side to the Almeria region, visit that and head back to Granada for the evening on some other mountain road, because on Monday I was dropping the bike at a bike shop from which I had arranged transport back to Barcelona and we would take that day to visit the city on foot. The problem, however, was that after the “one last beer” the previous night we had a tremendous hangover and we got up quite late… Not only that, after 9 days on the road I also fancied a couple of quiet day off the bike, much to Nat’s delight, so we decided to take it easy and just wander around the city. 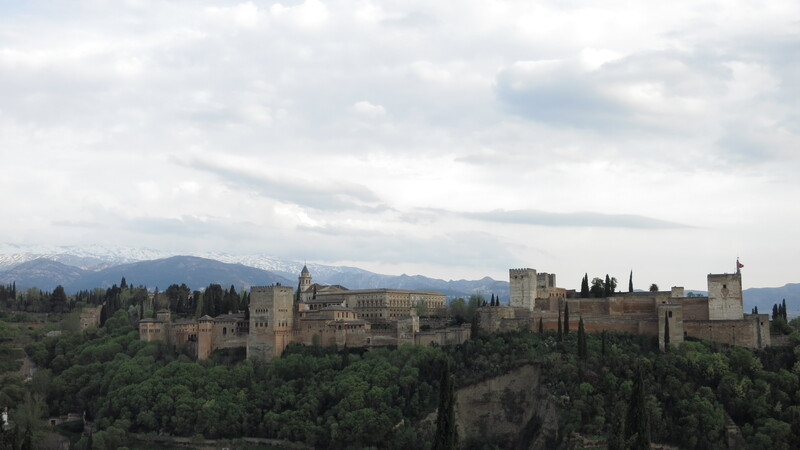 A lot of people had told me about Granada and how much they had liked it, and I can tell that it more than met my expectations. It is a vibrant city with a lot to offer – there is a very active student life and night life, fascinating history, extensive cultural and architectural heritage, excellent food and atmosphere, inviting tea shops, quaint backstreets and alleys in the old town, and a general laid-back attitude that invites the visitor to take things easy. We spent the day walking around the narrow streets of the old town, went up the San Nicolás viewpoint high on the Albaicín quarter from which spent a good while gazing at the unforgettable view of the Alhambra, stopped here and there for a drink and some tapas, the afternoon turned into the evening and the endless string of tapas turned uninterrupted from lunch to dinner. We retired to the hotel relatively early, at least compared to the previous night, as we had decided to get up to an early start the following day and ride up to Sierra Nevada before taking the bike to the shop. 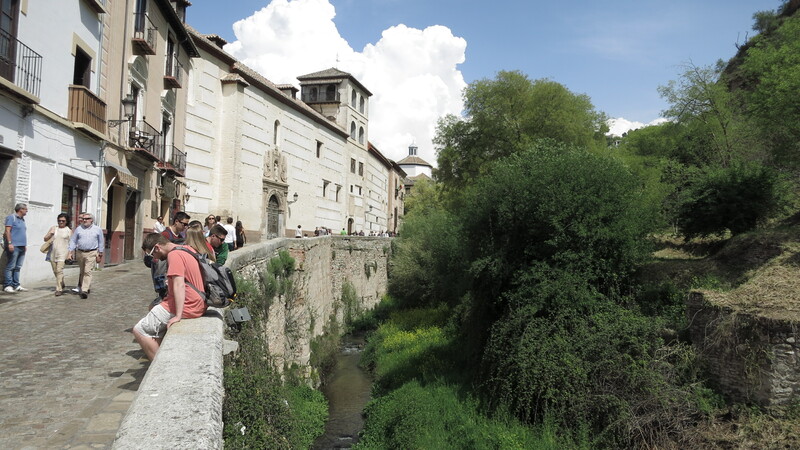 This entry was posted in Portugal and Southern Spain 2015, Travel and tagged Albaicin, Granada by Kilian. Bookmark the permalink.